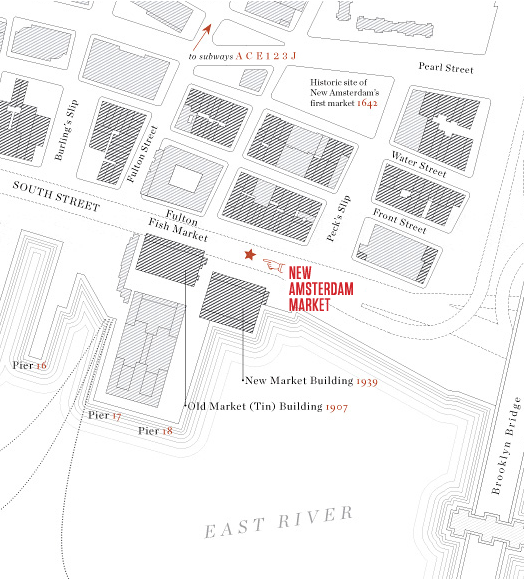 New Amsterdam Market takes place every Sunday from 11am to 4pm, rain or shine, at the old Fulton Fish Market which is located on South Street and Beekman Street in Lower Manhattan. Our first annual East River Moon Festival introduces market-goers to the traditional Mid-Autumn Harvest celebrations that take place throughout East Asia on the full moon day of the eighth month of the Chinese lunar calendar. Events listed below the poster. Special Asian-inspired market fare prepared by guest chefs and New Amsterdam Market Vendors including Chef Simpson Wong from Wong and Wasan. Banh Mi from Brooklyn Cured, Tom Kha Gai from Home by the Range, Bulgogi from Black Tree Sandwich. 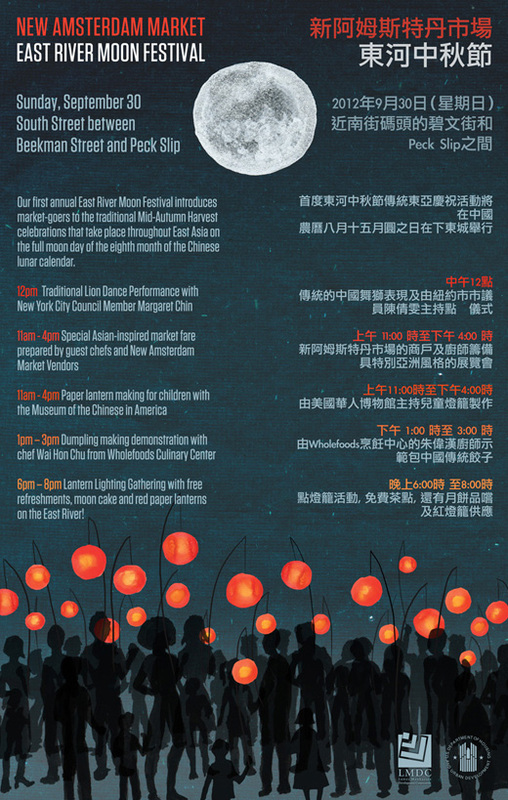 Lantern Lighting Gathering with free refreshments, moon cake and red paper lanterns on the East River!